DENIS from RIXENSART, Barry from Spring valley & 56 others bought this item recently. USPS Flat Rate for normal delivery within 7-14 business days. DHL if you want faster delivery. If DHL is less then $150 you will receive a refund of the shipping over payment. Please note: Delivery times are outside our responsibility. 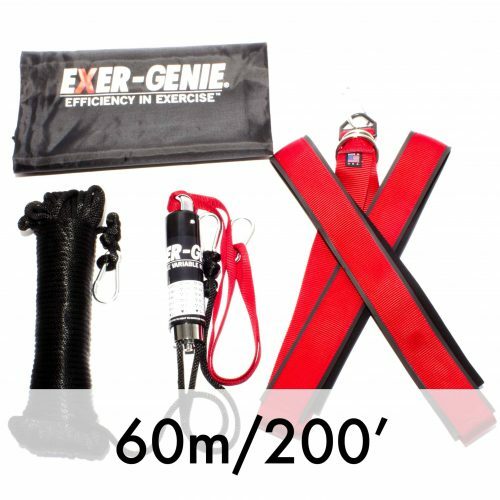 Speed Trainer Exer-Genie® 60 meter (200′) Speed Development System. 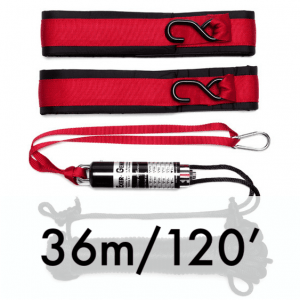 Adjustable, portable and variable resistance training tool with a 200′ training line. 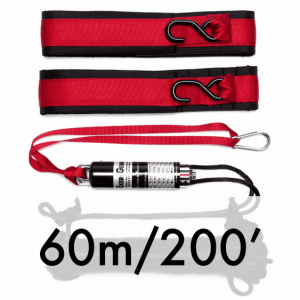 For dry land or on ICE with any age or skating skill level development. To improve speed and agility for any sport. Choose this Exer-Genie® Speed Development System for running or skating speed, functional movement, functional rehab and power development. Exer-Genie® is also perfect for home speed training workouts and youth sports training. Training with the Exer-Genie® will increase skating speed and agility and allow you to feel your edges whether skating forward, backwards or oblique movements. Can be used with passing and stick handling drills developing better stick and puck control. Exer-Genie® is more convenient than sleds, more versatile than chutes and safer than rubber bands…”One Unit…Infinite Use” especially useful for functional rehab and power development. Do you want to recommend this product? Sign up for our referral program here.